I have a handful of favorite moments from my legal career. One is when I had a state court judge tell me during closing that my legal arguments were about as "helpful as a goose turd on a sidewalk", only to have that judge later get reversed on appeal - on those same goose-turdish legal points. Another, and perhaps still my absolute favorite, is when I invoked Indiana's Blacklisting Statute to recover attorneys' fees for a prevailing defendant in a trade secrets/non-compete dispute. That statute, enacted around the turn of the century -- the 20th century, mind you -- was meant to provide some means of recovery during a period of hostile, violent activity between companies and burgeoning labor unions. Blacklisting a union or striking employee was a common tactic, and legislatures started enacting reforms to allow for aggrieved employees to recover damages. Fast-forward 100 years or so, and courts in Indiana started fielding Blacklisting Statute petitions when an employer tried to prevent an employee from competing - usually through an overbroad non-compete agreement or a meritless trade secrets claim. To be sure, the Blacklisting Statute does not look like a particularly good fit, but the language of the statute itself -- viewed narrowly and quite literally -- seems to provide a narrow path to recovery. Like many other attorneys before me, I saw a path to get my client its fees back under this Statute. And I did, though, I wanted the matter settled rather than decided so no appeal was taken. Turns out, this probably was a good decision. The Blacklisting Statute, as held by the Supreme Court of Indiana, no longer applies to claims where an employer seeks to preclude an employee from competing. First, the ordinary definition of "blacklisting" -- without question, the purpose of the statute was to prohibit this then-prevalent practice -- contemplated a very specific range of activity, such as circulating a list of people to avoid hiring. Second, the more general language of the Blacklisting Statute, which clearly contemplates that a trade secrets defendant may have a claim, has to give way to the more specific references of "blacklisting." This is a canon of statutory construction which interests only lawyers, and for that reason, I will say no more on the matter. Third, the Court found that applying the Blacklisting Statute in an unsuccessful competition suit would create bad policy and a "standoff between the former employer, potential employer, and the employee, and the threat of their own mutually assured destruction would deter everyone from seeking any redress whatsoever." From my perspective, the real evil in competition litigation is the leveraging of legal fees, often when competitors field an asymmetry of resources. A better approach than applying statutes or torts which do not fit these types of disputes is to either (a) allow for one-way fee shifting clauses in non-compete agreements to be blue-penciled, or (b) encourage the use of a more flexible, realistic inquiry on bad faith fee petitions to determine what the true motives of the plaintiff were in bringing suit. 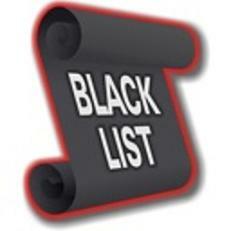 Is the decision clarifying the Blacklisting Statute correct? Probably. But at least I had my fun while it lasted.